On Friday, China's e-commerce giant Alibaba celebrated its 18th anniversary at a massive party in Hangzhou. The annual party saw attendance from about 40,000 employees from across regions and countries. 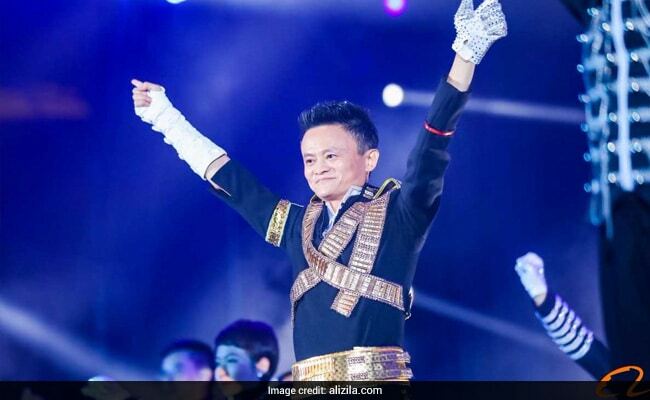 But it was the dramatic entry by founder Jack Ma, dressed like Michael Jackson, that caught everyone's attention because you don't see billionaires doing that every day, do you? Dressed in a black and gold suit and bejeweled mask, the 53-year-old arrived in style on a motorbike and danced to some classics by the King of Pop like 'Billie Jean' and 'Black and White'. Midway through the performance, he was joined by several other 'performers' on stage dressed in costumes similar to the Alibaba boss. Evidently a fan of theatrics, Jack Ma dressed like a rockstar, complete with a dramatic wig and black lipstick, and sang 'The Lion King' theme song in front of thousands of Alibaba employees at a similar party in 2009. The e-commerce moghul is one of the richest men in the world and Chinese wealthiest with net worth of $36.4 billion, according to Forbes Magazine.